The Union Finance Minister Sri P Chidambaram, on Wednesday, said that the Insurance Laws (Amendment) Bill, which proposes to hike foreign direct investment (FDI) ceiling in insurance sector to 49% from current 26%, will be tabled in winter session of the Parliament. Speaking to the reporters, Sri Chidambaram said that the government has agreed to a suggestion by opposition parties to take up the insurance bill in the next session of Parliament, after passing the pension bill in the current session. As the Standing Committee on Finance, headed by senior BJP leader Yashwant Sinha, did not favour hiking the FDI cap, the Insurance Laws (Amendment) Bill is pending in the Upper House since 2008. 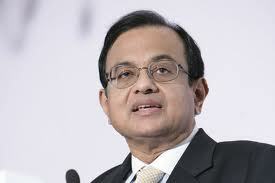 Recently, Sri Chidambaram had said that the insurance sector requires USD 5-6 billion capital. The insurance penetration ratio in the country is very low. In the life insurance segment, it is 4.4 % and 0.76% in the non-life segment. In India, more than two dozen private sector life and non-life insurance companies are operating their business.